Seamlessly integrate your Eagle Eye Tracking devices with Fleetio. 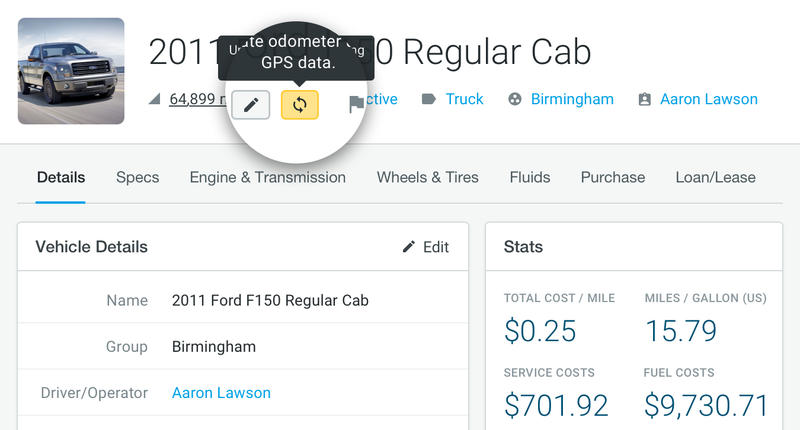 Automatically pull odometer, vehicle number, hour meter, fuel gallons and fuel cost into Fleetio upon daily completion of the Eagle Eye Route Record to keep vehicle service schedules and operational records up to date. Vehicle data entered into Fleetio Manage will populate the corresponding Eagle Eye Route Record.